Lesson 2: What Is Customer Seduction? Lesson 3: Deceptive Advertising Examples – Outright Lies! Join Empower Network! – Or Should You? Internet Income University isn’t, by any means, a “university.” That it calls itself such is horribly misleading at best. In this review, I will show you why, for the most part, this program isn’t for most people and is one that should be avoided. Though the program isn’t so much of a scam, it certainly is borderline to being one. IIU (their acronym) purports this to be a place “Where Education Meets Opportunity,” that this byline is nothing but a hot-air sandwich. The training videos are reported to be somewhat acceptable. You can learn about SEO from the videos, though they are very basic. Very readily honors its guarantee. Offers hosting that you MUST use. You Cannot use any other. Free website is filled with their adverts. You have no control over these adverts, or made to think so. Their affiliate “education” limited to five of their programs. Their F.A.S.T. Program is actually quite slow. A few people do well with this program, but this is atypical. Training modules, though some useful stuff in them, are riddled with upsells. Professional coaching is not free. Comes with a monthly price tag. SEO is done by them and comes with a price tag. High-priced three-year hosting fee can be revoked. Negative review, blog & complaint forum posting very high. Boldly places “top business” plaques on site. Is legit, but not the best. Free stuff completely useless, other “free” stuff comes with price tag. An affiliate opportunity that purports to be a “university” of sorts. The product plays heavily on education to draw folks into their program. This is a very long shot from being an educational institution or site of any sort. Their “education” is, at best a very brief and extremely elementary set of a few segments on how to conduct an affiliate business. It is very suited to their own business, teaches nothing about how to build websites and other important aspects of having an affiliate marketing business, other than how to populate it with content and change colors, etc. Users do have full administrative control over their sites but are not taught how besides the very basics. Better have some cash to fork out … you’re gonna need it! There are reports of a few people having made money with this program but according to a very large percentage of reviews and other reports available on the Internet, this program is one that should be approached with caution. Admittedly, some of these negative reports come from folks who won’t even try it out before posting what they do about it. However an equal amount comes from reliable sources, from folks who have given the program a fair shot. This program is for anyone who would want to start a business where everything is “done for them” including closing the sales. 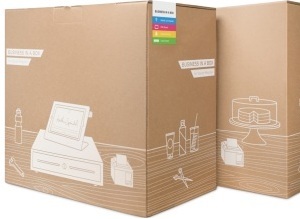 What you essentially get, is a business-in-a box type which entails a cookie-cutter website. I have seen that it is possible to alter the content in these sites to make them stand out from the others, but from personal observation, most people do not exercise this, and only upon expensive coaching and training does one learn to go beyond the herd in this case. Without paying out extra dough for this, the average person doesn’t know what to do with their sites besides add content, change colors, etc. There are no training tools whatsoever in the free membership. In fact, there is nothing at all useful in it – except you are able to get into the forum to view what’s there. This has helped me tremendously determine what’s in this program as it is freely-talked about on there. Other than community forum access to view it, (no posting privlieges) the free membership is nothing more than a series of up-sells. 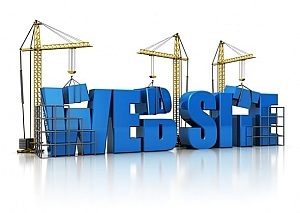 Step 1: Fast Website Setup – This is the program within IIU that offers a free website to each paid member. It consists of a simple web document from WordPress consisting of a Home and About Pages. Home is the blogroll and the About a page. In virtually every way, this installation resembles a “business-in-a-box” scheme. Due to this, members on IIU are having great difficulty promoting their sites and must rely on expensive up-sells. Step 2: Affiliate Marketing Streams – They head these five promotions with “Top Income Opportunites.” They come default on every website given out “for free” to every member who completes this step. The purpose of the training is all about how to write articles (they have their own article directory,) find keywords and build out the site with content. It is readily suggested, that though the site looks complete, it is, but it’s only a start, a “baby seedling,” as expressed by Kevin Blue. Basically, what you have at this point, is a pretty-looking website that is just sitting there. This advice is perfectly sound. It is also warned that in order to get credit for sales, members MUST sign up for the affiliate programs being advertised on the sites, else proceeds will pass on to the company. To get credit,this forces members to purchase into these affiliate programs as affiliates. Upon signing up (or calling a special phone number) to get signed up, the company will update the affiliate links and banners on the site. Step 3: Scalable Advertising This is what they call the “SEO Infinity” otherwise known as the “Co-op.” Here you are given the opportunity to purchase “shares” into which you are then able to have the promotional work done for you. These entail members who pay into these the limited-time opportunity to tap into an international team of “Autopilot Lead Generation Experts” to drive an “endless stream of traffic” to your affiliate links. Your affiliate link for IIU shows up any number of times in a rotator of sorts (have not researched this.) which could be a banner rotator or something similar. These are “lifetime” purchases, meaning, once you have them, you’re in with these benefits for life. Not something I’d like to invest $597 into, let alone $1997! Paid Coaching – Coaching is available for SEO-related issues. I have not researched this fully, but it is an added feature to put those who use the service at “an unfair advantage” over those who don’t. There is a recurring monthly fee of $97 for this service. Forum – The Forum doesn’t boast a lot of activity but there is some going on. This is where most of the members address their questions and issues since this is free. The owners readily come on board to answer the questions. “Note that the last webinar we had was still on Dec. 20, 2012 as we didn’t have any webinars recently so don’t worry if you’re not seeing anything posted for this year as of yet. Well, it was May 15th, 2013 when this question was addressed and answered by Support. Awfully long week here, heh? Customer Support is through a help-desk. It appears to be quite prompt on answering questions and handling problems. Very often there are disgruntled members wanting refunds. These are always granted without question. In all of my reading, it seems just about everything that a member can pay out, readily gets refunded upon request or demand. All pricing has been discussed above. Some on the higher end may have been missed, but this review gives you a good idea on what to expect to pay out to get anywhere with this program. I rate programs by Horrible, Very bad, Bad (levels of scam and quality) and Good, Better & Best. 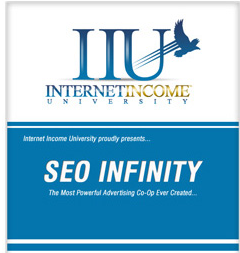 I rate Internet Income University as one of the bad programs out there. The means to get into the paid program is cheesy in and of itself, being declared as free, actually costs $30 to activate, or to choose any one of sponsored offers to activate it. It is full of up-sells for which you will fork out well over $500 just to get started anywhere near making success with this. There are far better programs out there that are not so restrictive, do not have up-sells at all, and are MUCH cheaper, not to mention have MUCH more to offer in every way! My first pick is Wealthy Affiliate. 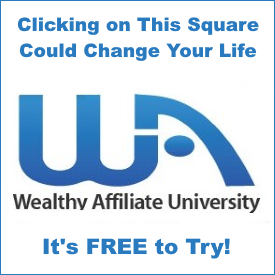 Wealthy Affiliate is preferred by most anyone who finds it. If you are a member of Internet Income University, I invite you to take a look at what you are missing. If you are planning on joining IIU, I strongly recommend you do NOT consider this program. Do note that Wealthy Affiliate also has a yearly membership which offers great discount on the monthly pricing of $47. This equates to $29/month. You can’t beat this price on any one of the single items one must pay for alone in IIU! WA has been around since 2005 and has a true pay-it-forward spirit. This means, nothing is cut out, nothing is hidden. The entire spectrum of learning how to build and run an online business is put before you. You will be expected to work and not expect overnight riches. Just like IIU says this, WA endorses it with a MUCH better program! As I said, I can assist…but only if you are willing to take action on the help I give you. If you want to get the most out of yourself and the most efficient learning platform, check this out! See for yourself why Wealthy Affiliate goes above and beyond any other program available online! Do you have any questions about the video presentation? Simply ask! If you need a hand with anything that I have discussed here, please leave a comment below or you can get in touch with me inside of Wealthy Affiliate via my profile. The draw here was to try program for 30 days and decide if this is for you. If it is then your account will be charged to you account. If not, cancel and your money will be refunded. Manly Bryant said there would not be any other charges. 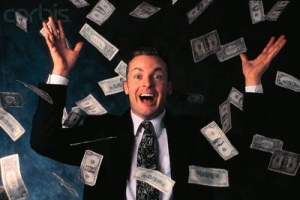 I told him up front that I was on a fixed income and did not have any money. He said if I tried it for 30 day and cancelled, there would be no charges at all. How he arrived at the decision, I cannot tell because in order to even make any money, there are charges for counseling sessions, income streams and other charges in order to make any money. Since I can’t participate without the required services added on this a mute situation because there is no way I can benefit. All I would be doing is putting money in the pocket of the someone’s pocket for a service I told them I couldn’t afford in the first place. Hey Myrna, I have not been on this page in a very long time. I’m sorry I missed you for so long. I hope you were able to get this resolved. This what you are saying in your post is exactly what makes this a scam. You would get charged for stuff that you cannot do anything with (because you can’t buy into the stuff you need to be able to do so.) In order to get around the charge, you would have to get into one of the offers they provide, none of which interested me and the fact that, you would eventually have to put out money to any of the offers from there. Again, for some reason, your post got past me and I apologize. I try to answer everyone who comes to my site with a post comment or question. Now, there’s a place where you can definitely get your money’s worth out of the training. It has in its free membership much of what you can get at IIU for their price! Check this out if you’ve not done anything about getting a REAL education in online business. It’s a review on one of my other posts – Wealthy Affiliate. It used to have “Wealthy Affiliate University” in the title of it and it definitely qualifies as an online university with flying colours! Your Profit Team Review – So Far, Not So Good! Amazon Code Review – Don’t Get Taken by Their Emails! AZ Formula Review – I Smell a Rat! Clicksure Went Kaput! Good or Bad News? Can You Really Make Money at Wealthy Affiliate? Can You Tell if You Are Being Scammed Online? What Is the Definition of a Consumer? Daniel Euergetes on What Happened to Internet Marketing Center? 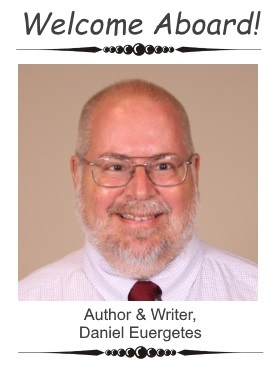 Ken Bowers on What Happened to Internet Marketing Center? Reggy on What Happened to Internet Marketing Center? Leigh Saunders on What Happened to Internet Marketing Center? Daniel Euergetes on Auto Money Machines Review – Does It Really Work? stadium on Auto Money Machines Review – Does It Really Work?